With over 50,000 members and certified professionals nationally and internationally, The American College of Sports Medicine (ACSM) is one of the largest and most prestigious sports medicine and exercise science membership organizations in the world. ACSM plays a key role in shaping the profession and field of exercise science, from policy decisions to scientific journals to certification. 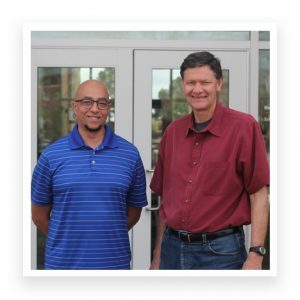 Auburn University School of Kinesiology Professor Bruce Gladden, Ph.D., was recently elected Vice President of the organization, and Professor Michael Brown, Ph.D., serves on the Board of Trustees. These leadership positions are highly regarded and demonstrate Auburn University’s outstanding academicians. Many other faculty, students, and alumni of Auburn University Kinesiology are actively involved in the organization and are frequently recognized for their quality work. Gladden was formerly on the Board of Trustees, a prerequisite for the two-year Vice President position. Gladden is also on the ACSM Program Committee which organizes the annual meeting. He has previously served on the Executive Board of the Southeast Chapter of ACSM (SEACSM), and as President of that organization from 1996 to 1998. In addition, Gladden recently began his second four-year term as the Editor–in-Chief of ACSM’s flagship journal, Medicine & Science in Sports & Exercise. Auburn Kinesiology alumni continue their involvement in the organization. For example, Sofiya Al Hassan, an Auburn Kinesiology doctoral graduate and currently an Associate Professor at the University of Massachusetts, was the featured luncheon speaker at the SEACSM conference this February in Chattanooga, Tennessee. Current doctoral student, Paul Roberson, won best overall abstract presentation in the doctoral student category at SEACSM, and undergraduate student, Gabby Gilmer, won first place for the undergraduate student research award. At least 10 other Auburn Kinesiology students presented posters or podium presentations at the conference. One of ACSM’s philosophies is “exercise is medicine.” Its mission is to advance and integrate scientific research to provide educational and practical applications of exercise science and sports medicine. ACSM was founded in 1954 and is headquartered in Indianapolis, Indiana. Another of ACSM’s important roles is advising federal, state, and local lawmakers on current research to aid in policy decisions that promote health and physical activity. Additionally, the ACSM annual meeting and its quadrennial Integrative Physiology of Exercise meeting, are the conferences for cutting-edge exercise science, ranging from the cellular to whole person level. Brown began his three-year appointment on the Board in May 2017 and has served on the Diversity Action Committee for ten years. The Committee developed the Leadership and Diversity Training Program to foster more diverse leadership in the field of exercise science and sports medicine. The program aims to mentor and retain minority members by offering three levels: undergraduate, graduate, and early career. The program provides mentors to participants at each level, as well as funding in order to maintain ACSM membership, attend meetings, and pursue presentations, publications, and fellowship. Three Auburn University Kinesiology graduate students have been involved in the program: Bridget Peters, Ph.D.; Matthew Romero (doctoral student in the Molecular and Applied Sciences Lab under Michael Roberts, Ph.D.), and Lola Adeyemo (doctoral student in the Hypertension and Vascular Health Lab under Michael Brown, Ph.D.). ACSM’s 65th Annual Meeting and 9th World Congress on Exercise is Medicine, and World Congress on the Basic Science of Muscle Hypertrophy and Atrophy, is May 29 – June 2, 2018, in Minneapolis, Minnesota. More than 6,000 professionals from around the world will attend. Gladden and the other Officers and Trustees recently elected will assume their new roles at the conclusion of the board meeting at the conference. The Integrative Physiology of Exercise meeting occurs on September 5-8, 2018, in San Diego, California. Bruce Gladden is a member of the organizing committee for this conference.